I am typing this on a balmy Wednesday evening and hoping that the sun continues to shine for us this weekend. Don't forget Father's Day on Sunday. If you're stuck for ideas, check out our gift guide with a North East twist here. The Hoppings is one of Europe's largest funfairs with over 300 rides and attractions to choose from. Rides can work out to be fairly expensive so don't forget to download your discount vouchers here first. 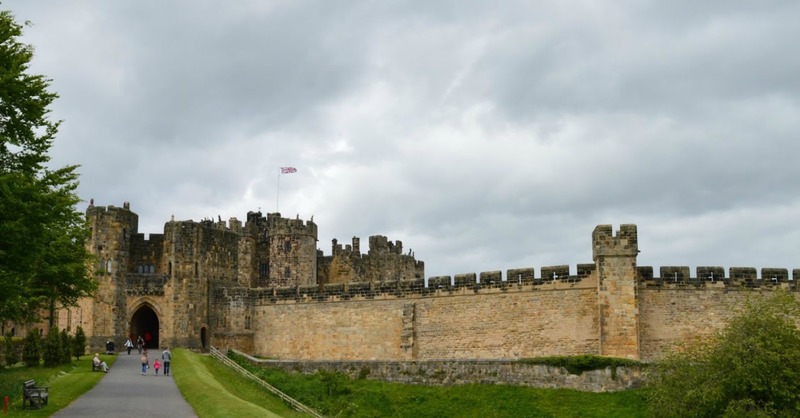 Medieval Mischief is a popular and FREE festival at Newcastle Castle. The rest of the castle is also open for you to explore at no additional cost. Expect craft activities, music, swordsmen, demonstrations, stalls and food. Find out more here. This family-friendly VW festival will provide plenty of entertainment across the weekend from live music to dog shows, trade stands and licensed bars. There will be an outdoor screening of Grease on Saturday night by the castle too. Find out more here. The Discovery Museum are joining in with this year's 'The Great Get Together' which celebrates neighbours and communities. Enjoy a picnic on the plaza, watch a musical performance at 2pm and take part in a family craft. The Great Get Together is inspired by MP Jo Cox who was killed on 16 June last year. Find out more here. Meet Shopkins Cupcake Queen and Lippy Lipstick who will be available for photos from 2pm-2:45pm. Meet outside Quasar Amusements. Find out more here. Horrible Histories will be visiting Whitley Bay Playhouse with 'The Best of Barmy Britain' this weekend. There are three performances in total and tickets are available from £12. Find out more here. Dad's Go Free with a paying child to the best farms across the North East this Father's Day. Visit their websites for further t&cs. Dad's can receive half price heritage train rides (normally £6 per adult to ride all day) along the 4 mile route this Father's Day. Find out more here. Local band Rivelino are back and will be performing at the fort between 1-4pm. Entry is FREE. Why not bring a picnic and make an afternoon of it (event is weather permitting). Find out more here. Today will see a special 150 mile rally for cars and motorcycles registered before 1956. The museum will open at 8:30am for visitors to watch the cars pass the start line and cars are expected to return to town and then to the finish line in the event's field from around 3:30pm. Find out more here. Try fire-lighting using natural materials, cooking on a campfire and family team building activities. Tickets must be pre-booked and are £10 each. Find out more here. If you're looking for a recommendation for a nice family meal to celebrate Father's Day, check out our top restaurant recommendations from 2016 here. If you haven't already, I'd love you to join our North East Days Out Facebook Group here. Let me know what you're up to this weekend.